I had the plan for the last A to Z post with a Zipper Pouch. I even had a finished zipper pouch. There was just a minor issue. But as I sat in my easy chair crocheting and stewing over that danged zipper, my hubby gave me his opinion on my latest finished item. Two words came out of his mouth. You now have a chance to give your opinion of what you see. I wasn’t looking for an end to the 2016 A to Z Challenge with this, but it’s what you get when the zippers stuck. 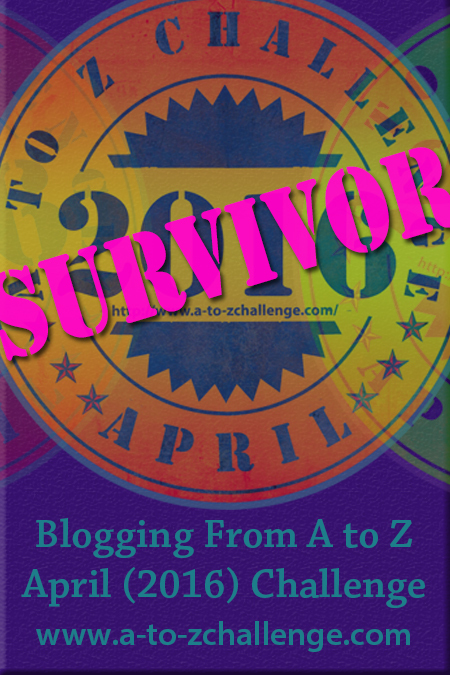 For other great A to Z blog posts, click here! Yearning for more time to be creative? They make these for night reading. I use while hubby is driving (not to be used to blind other passengers. Point it Down. Multi-task:Watch tv with needles in hand. Computer slow? (mine is in dinosaur mode) Keep your project at the ready. When baby is asleep, do your catching up. Laundry won’t go anywhere, trust me. For you who have regular coffee breaks at work, remember it’s coffee, sugar, cream & needles. Long Dr. wait? Or hair being processed? Yep. You get the idea. Try giving yourself some motivation to completing a project. Treats and rewards are permitted. Make a checklist. Use that storage on your cell phone for your memory. Not just the calendar section. And my personal favorite: You can teach children your craft on those long, lazy summer afternoons. Sit them beside you and work (Pursue your indulgence) away. For other great blog click here. I hadn’t yet spent my Christmas cash from my Mother-in-law and so a couple weeks ago, I did some Internet window shopping. One of my purchases was this book…. Trying something new is another way to say ‘Experiment’. Here is a stitch I decided on. The book description said there were 61 stitches to choose from. This is a Tunisian Pearl Stitch and is supposed to be one of the simpler ones. Here’s the foundation row. It is twisted on my needle and that is a testament to the fact that I’m new at this. Also this is probably as close to knitting as I’ll ever come. At this point I’m still not sure how it’s going to look like the picture. I learn that I’m not using the vertical posts, but the horizontal ones. oops. I kept going and never did redo (also called rip out) that first bad row. Adding character as I go I suppose. What do I think of Tunisian Crochet? Need to wonder about using cotton thread versus acrylic since I could use the stretch about now. Did you know that even though you don’t have carpal tunnel, you can still have digits go numb? Point to Ponder: Be careful of Experiments!! Way back when I first began my childcare career, one of the first things I learned to make for the children were homemade sheets. The ‘choosing of the sheet’ is like picking out your favorite toy when it comes to naptime. It has became a favorite weekly tradition and it has helped those who aren’t really too fond of lying down be more favorable towards the notion. I’m not immune to pulling all the stops. I’d rather win than be weary. The timing of this A to Z Challenge worked out well as I have some sheets that are overly used and need replaced. Showing you a pictorial of how I make mine. The instructions are usable for any cot or mattress. You’ll just need to measure them first. Depth, Width and Length. My tutorial is basic and is just a guideline. Hope you’ll be inspired. Blankets slip and slide and can bunch up in children’s faces. Couldn’t resist sharing a little Everly Brothers this A to Z Wednesday! I probably save too much stuff. But this is one fabric I really liked and couldn’t part with. So it is about to become a useful item. A bib. Something I need a lot of in my profession. And to be perfectly up front, I’ve even had requests for adult bibs. You just never know how large you’ll need to make one 😉 But for the sake of this post, it’s for the babies. As you can see in the beginning tutorial above, it’s pretty much a straightforward idea. I just wanted to show some minor improvements you’ll want to be aware of…Ironing is the best way to get a more desirable appearance. Also be sure to clip those curves. Home Economics class 101 lesson right here. Turn right sides out, press (again), pin opening closed and top stitch. Just finished a table runner with some pastels. Went with the baby blue for the binding and machine quilted by stitch in the ditch fashion. Perfect for an outdoor spring setting or even a lap warmer for chilly evenings. All this has me wondering how many still have dinner at the table these days? Do you most of the time or just on special occasions? Or only at restaurants? Would a ‘dressed-up’ table be more inviting to your everyday meals? Growing up we always ate at the table and so has my own family. I highly recommend dinner together. I’m proud to say that when my grown children are home at lunch during the daycare mealtime, they grab a plate, sit with us at the table and converse. No cell phones. Just plugged-in to our voices. And the little ones take notice, believe me. Of course, Mom’s cookin’ might have a little to do with it. Ever see something and know you can make it yourself, And do it in multiples for someone you adore?? Or more than one someone? Notice the bedraggled state of my home. My ‘Normal’ on a daily basis. Soapbox moment: Can’t stand messiness? Get an office job. Who could resist making more dress-up gear for this face?? This Sharpie-Wielding Sewer has traced this Super Hero garb and has a Strategy! Which super hero would you want to be? 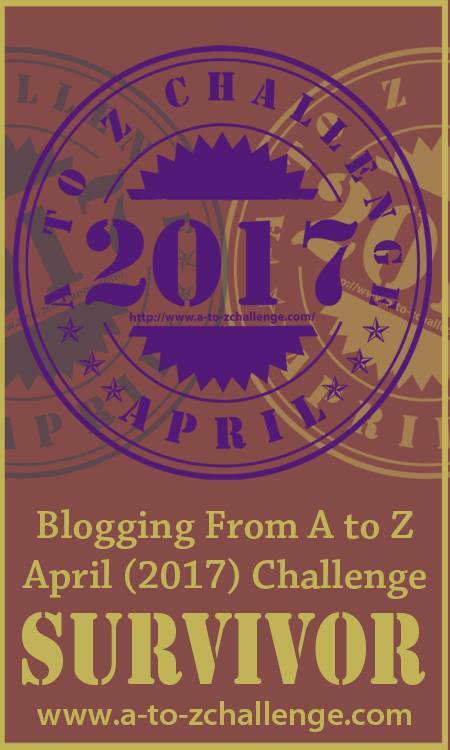 Click here for other great A to Z blogs. Rachel was turning 9 and I was determined to make her a quilt. Time was short and I needed one pretty quickly. The theme would be ‘puppies’. We had a golden retriever puppy that we all loved so! He was officially ‘Sir Duke Flash Finnell’ on his AKC Paperwork. He jumpstarted my quilt project being he was the object of so much love and affection. Close up of back and front views. Click here to visit more A to Z Challenge blogs. A page excerpt from the journal dated July 2002. I let my daughter name this one as it tells in the entry. Quilts are known usually by their quilt blocks used. Since this one used all hand-cut appliques created by myself, I chose to give its entire composition the name. I have a similar one hanging in my bedroom above my bed in navy and white. Made for a full/queen sized bed. The 3rd applique quilt, also undocumented & the last in the applique trilogy. I will only post a picture for you. Keeping with the A to Z quick-reading plan.